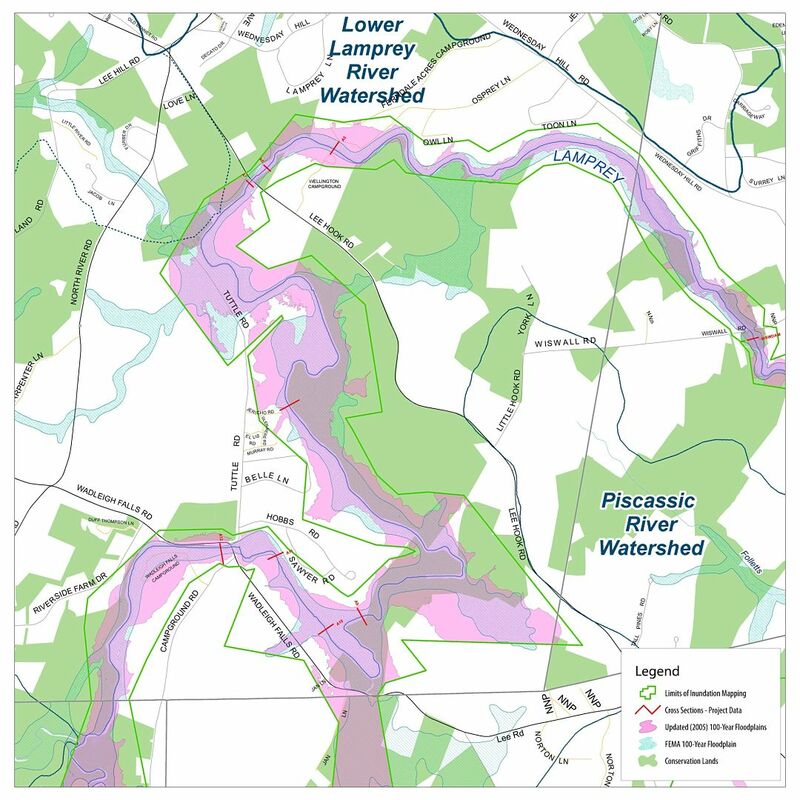 SRPC will work with the Lee Conservation Commission, Emergency Management Director, and the Planning and Zoning Department to produce a series of maps with the new floodplain data produced for the Lamprey River Watershed. The maps will be used for land use planning and to aid in emergency response activities. SRPC will provide education and outreach assistance to the community of Newmarket on stormwater impacts and best management practices, including low impact development, to alleviate harmful pollutants discharging to the Lamprey River. These outreach efforts will target businesses, local decision-makers, public works staff and town residents. SRPC will gather municipal data from a variety of land use documents including the master plan, zoning ordinance, site plan and subdivision regulations, and other planning documents and studies in order to complete the Indicator Form and update the Piscataqua Region Environmental Planning Assessment (PREPA), which will now have a climate change component. SRPC staff will collect municipal data and fill out and update the PREPA Indicator Form.